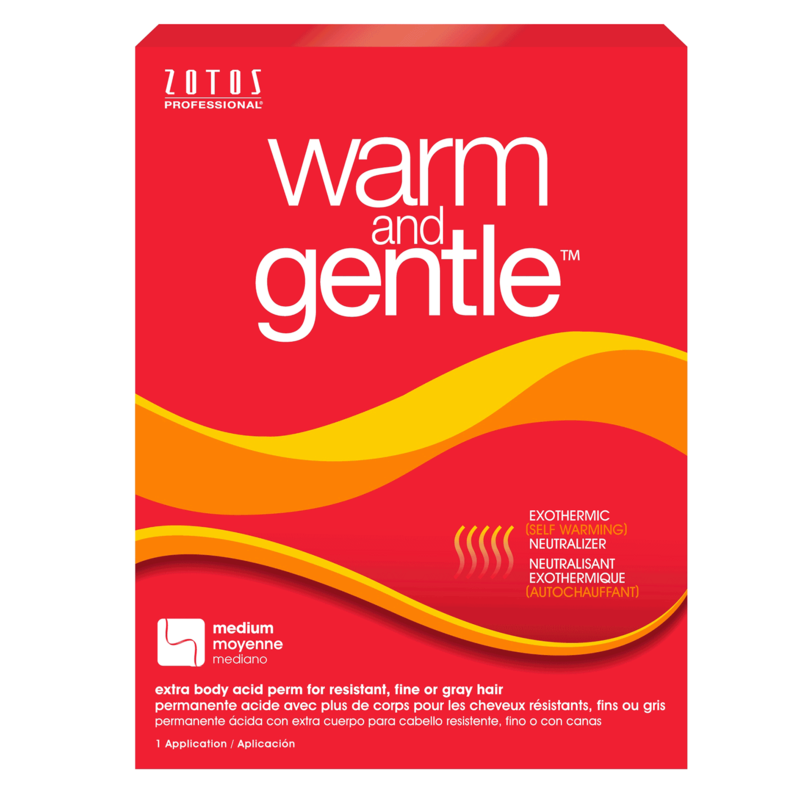 Warm and Gentle Extra-Body Acid Perm combines a true acid perm (6.7pH) that protects the hair during processing with an exothermic (self-warming) neutralizer for a faster, longer-lasting and natural-looking style. The gentle waving lotion and dryer-activated processing improves curl formation efficiency and reduces perm odor. The exothermic (self-warming) neutralizer delivers improved after-perm conditioning to create body, volume and resilient curls while replenishing the hair’s natural moisture/protein balance. Water, Urea, Ammonium Thioglycolate, Laureth-23, Ammonium Chloride, Phenoxyethanol, Ammonium Hydroxide, Benzyl Alcohol, Benzyl Salicylate, Cinnamyl Alcohol, Citronellol, Geraniol, Linalool, Fragrance. Water, Hydrogen Peroxide, DicetylDimonium Chloride, Cetearyl Alcohol, Ceteth-20, Dimethicone, Tallowtrimonium Chloride, C11-15 Pareth-9, Disodium Phosphate, Isopropyl Alcohol, Phosporic Acid, Methylparaben.